Understated luxury has a new address in Algarve. For years Algarve has been one of the most visited regions of Portugal, particularly because of its year-round blessed weather conditions and exceptional infrastructure. On this occasion, we present you with one of the finest ocean views to be enjoyed from the privacy of your balcony. This magic place has a name: Onyria Palmares Beach House Hotel. 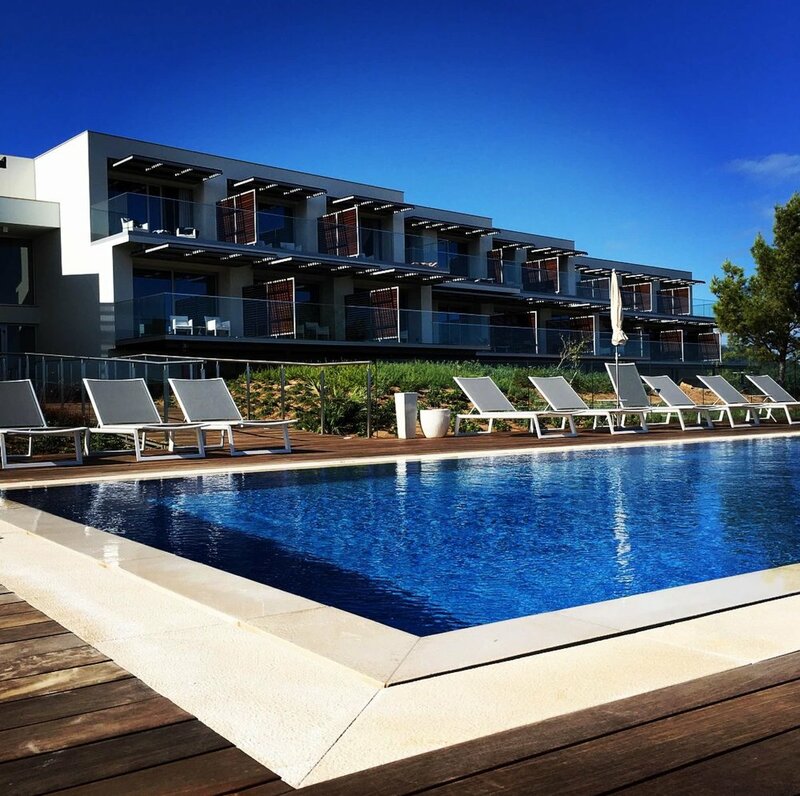 This isn't just another luxury hotel in an often crowded Algarve, this is a distinct property aiming for those who value the quietness, the one-on-one kind of service and the ability to connect with nature in an almost untouched environment. 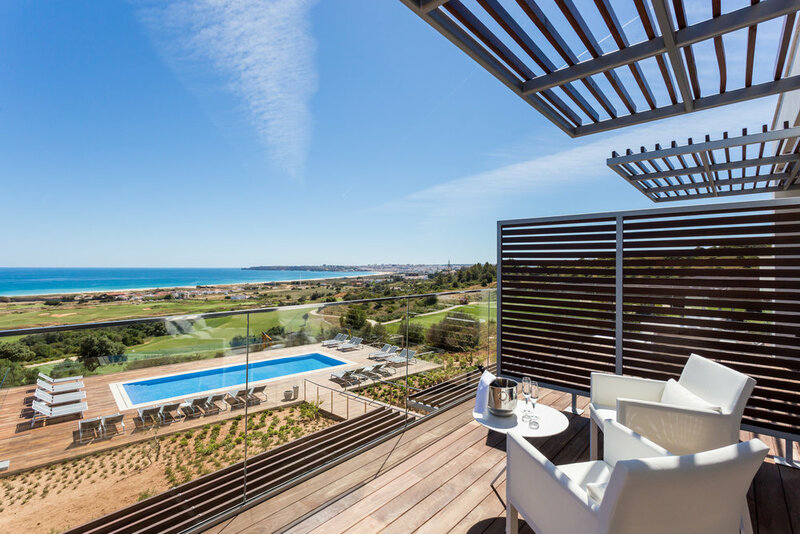 Mastering Meia Praia, Lagos' longest stretch of white sands, Onyria Palmares Bach House Hotel is on a league of its own when it comes to panoramic views. With the Atlantic on the horizon, fortunate guests will enjoy unobstructed vistas downwards, including the splendid 27-hole golf course carefully planned by Robert Trent Jones II. 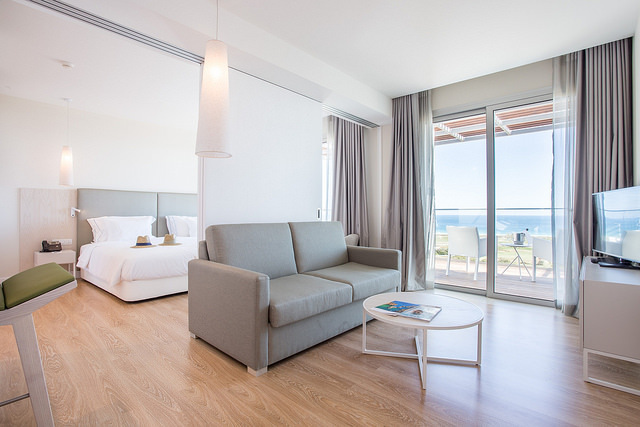 The heavenly sights can be admired from the privacy of the pristine white-toned rooms, the hotel's restaurant and the large-sized outdoor wooden deck. Awarded "Best Golf Course" in Portugal for 5 successive years. You can't go wrong here as all rooms unveil truly awe-inspiring views and come with balconies. There are also connecting rooms available. The outdoor deck is a great place to relax with a drink-in-hand and allow the senses to capture the astonishing landscape. As the night falls, star-gazing is also a mandatory activity. The hotel's pool provides the unrealistic sensation of being suspended between the sky and the sea. It goes without saying this pool deserves more than a dip. Named as one of the best beaches in the world by Condé Nast Traveller Magazine, Dona Ana Beach is absolutely unmissable. In fact, all Lagos region is known for spectacular beaches so even if you feel like never leaving the hotel (we understand how tempting the idea can be) make an effort and you'll feel rewarded. Here's another piece of advice: ask the hotel's attentive staff to arrange a boat trip to the nearby caves and experience Lagos in a whole different way. On a different note, spare some time to visit Lagos historic centre and get lost exploring its charming, narrow streets. Should you feel like driving around, head to Vila do Bispo and Sagres and discover why this is one of Europe's best kept secrets. Despite being so little explored, it is extremely easy to get to Lagos region. Fly to Faro International Airport (Algarve's main airport) and drive along A22 to Lagos, where you'll arrive in less than an hour. Should you be travelling from Lisbon, expect a 3-hour drive along A2 (south) and then A22 (west). Feel free to explore Onyria Palmares Beach House Hotel surrounding area with this Google Map.